Authority: V. calycinum Sm., V. dentatum Sm., V. reticulatum Sm. Description: Shrubs 1-5 m tall. Habitat Habitats vary, with V. calycinum and V. dentatum generally occuring in wet forest and bogs, and V. reticulatum more often early successional plant on new lava flows or exposed sites (Wagner et al. 1990:593–595). Medicines: To treat stomach pains, ‘eha naholo i loko o ka opu or mahikihiki, the ‘ōhelo leaf buds, leaves and fruit are combined with and the leaf buds and leaves of maunaloa (Canavalia cathartica or Dioclea wilsonii), pawale leaf buds, leaves, and fruit (Rumex spp. ), ‘ōolena root (Curcuma longa), niu (coconut, Cocos nucifera), and kō kea (white sugarcane, Saccharum officinarum) by pounding into a mash. The mixture is strained with ‘ahu‘awa (Cyperus javanicus) and drunk once in the morning and again in the evening (Chun 1994:223-224). Non Medicinal Uses: Fruits eaten (Handy et al. 1972:235). `Ōlelo Noeau: Mai hahaki ‘oe i ka ‘‘ōhelo o punia i ka ua noe. Do not pluck the ‘‘ōhelo berries lest we be surrounded by rain and fog. A warning not to do anything that would result in trouble. 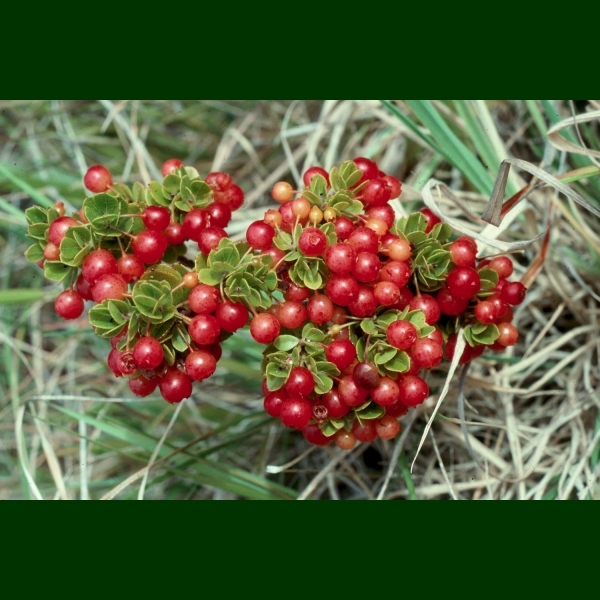 It is kapu to pluck ‘‘ōhelo berries on the way to the crater of Kilauea. To do so would cause the rain and fog to come and one would lose his way. It is permissible to pick them at the crater if the first ‘ōhelo is tossed into the fire of Pele. Then, on the homeward way, one may pick as he pleases. Propagation Information: Hawaiian Native Plant Propagation Database. Seed: Seed length approximately 0.5-1.0 mm. Photograph: H.Lennstrom. 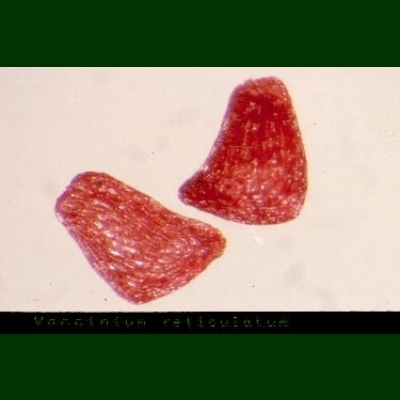 Species: V. reticulatum.